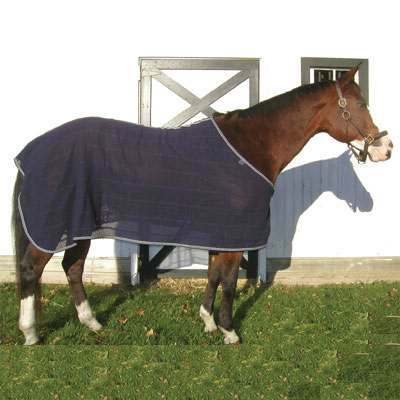 Your Horse deserves only the best Horse anti-sweat Sheet. We are confident that the Horse Cooling selection we have available are sure to satisfy you. The Irish Knit Anti-Sweat Sheet that we offer comes with very soft Imported cotton with adjustable front buckle closure and leg straps. We know how hard it can be to find a great deal on Horse Anti-Sweat Sheets. This is why we offer all our Horse Coolers at discount prices to help our customers save and want to come back for future purchases.